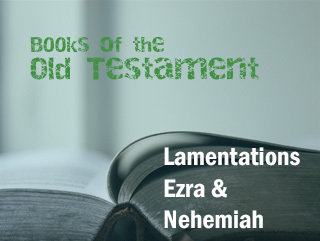 Teaching and commentary on the books of Lamentations, Ezra, and Nehemiah. Subscribe to our newsletter and get regular news updates. Making sure we’re only sending you the information you want is important to us. You will have the opportunity to unsubscribe every time we contact you. To see our Privacy Notice please click here. The Way of The Spirit is a charity registered in England and Wales, number 1110648, and a company limited by guarantee, number 05471349.